The following is part of our Member Spotlight series. Twice a month, the PPRA blog will feature a profile on one of our members. 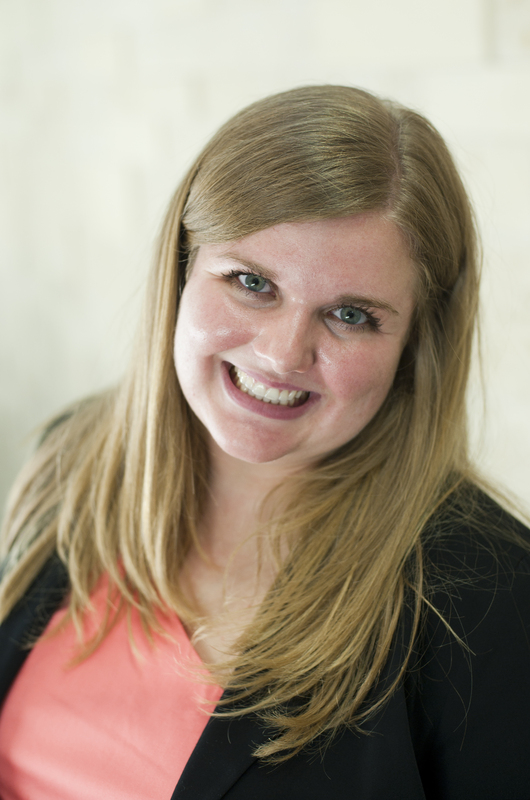 Today’s post highlights Katie Grivna, chair of PPRA’s newsletter committee. I joined PPRA before I had even moved to Philadelphia! After chatting with Jessica Lawlor (now VP of Communications for PPRA) via Twitter, I knew I wanted to join PPRA. I knew being a member would be a great way to establish a new network and familiarize myself with job opportunities. I moved to Philadelphia that fall, and attended my first PPRA event: Test Your Fear with PPRA at Terror Behind the Walls! Trust me, there’s no better way to connect with other pros you just met than going through a spooky haunted house! We also got a “behind the scenes” tour, which was awesome. I loved writing for my high school newspaper, so when I started college at the University of North Texas, I knew I wanted to do something that involved writing. After my first “Intro to PR” class, I felt like PR was a great intersection between business and storytelling. During the summer between my sophomore and junior years, I worked at a boutique PR firm. Later, I worked at a regional office of a large corporation. Both experiences taught me a lot about how to write with a targeted message, and I’m really grateful to have had great mentors along the way. I am a development associate at Covenant House Pennsylvania, a nonprofit organization that serves homeless, runaway and trafficked youth 21 and under. In that capacity, I coordinate the agency’s special events, visit corporations during employee giving campaigns, serve as the liaison to our Young Professionals group, manage stewardship communications, prospect new donors and more. Working for a nonprofit, you have your fingers in a lot of different pies, and I really like that aspect. Initially, you might not think that fundraising is related to PR, but in reality, nonprofits still manage mutually beneficial relationships with stakeholders; your stakeholders are your supporters rather than customers or members of the media. PR pros wear a lot of different hats, especially when they work for a nonprofit organization. Every day is different, and I love that. In PR, you can not always measure the effect of your work. But in my role as a development associate, I love seeing the direct impact of what I’m doing; I’ll never forget the excitement and satisfaction I felt the first time I saw donations come in because of an email that I created. Our development office is located within our Crisis Center, so I also get to interact with the youth that our agency serves. Staff members eat lunch with the youth in our cafeteria every day, so I really enjoy getting to know the young people who are getting the tools they need from our programs and fundraising efforts. I use Twitter quite a bit in my personal life. While I’ll check Facebook every day, I don’t post much. Since Facebook has become more family-oriented, I think Twitter is more useful in the PR profession. With Twitter, you can connect with people who are talking about the same thing (hash tags help with this…I’m still getting used to seeing “trending topics” on Facebook mobile). For example, that is how I met Jessica Lawlor and learned about PPRA. At work, we use Facebook and Twitter regularly, and the platforms’ messages vary based on our end goal for that post/tweet. We use Facebook to post pictures and tell stories, whereas we will use Twitter to tap into a particular conversation that is already going on. My advice for current PR students is to do as many internships as you can. Don’t rush through college so you can graduate and get a job; in my experience, it is much more difficult for recent graduates to find employment if they don’t have relevant internship experience. Don’t be afraid to post-pone graduation a semester if it means access to hands-on work experience. In my opinion, graduating early is not worth it if you sacrifice opportunities to gain practical experience. One of the many great things about PR is that it touches so many industries. Experiencing multiple uses of PR can inform students about which career paths seem the most interesting and viable. So intern at a boutique firm, corporation, and a nonprofit because you’re only a student once, and it’s all a part of the learning experience. I love touring the historical sites! I’ve done the double-decker bus tour more than a few times, and I’m always up for doing it again because you learn something new about the city every time you do it. Parallel parking, on the other hand, is my least favorite thing… I’m still learning how to do that. I also serve as the chair of the newsletter committee for PPRA. If anyone is interested in helping out with the newsletter or has a suggestion for something they’d like featured, please don’t hesitate to contact me at katiemgrivna@gmail.com. I’d love to hear from some of my fellow members. Interested in learning more about what it is like to work in development? Have any parallel parking tips? Don’t forget to connect with Katie via email (above) or on Twitter (@KatieGrivna). This entry was posted in Member Spotlight and tagged Communications, Development, Member Spotlight, Newsletter, Non-Profit, Philly, PPRA, PR, Public Relations by pprablog. Bookmark the permalink. Thanks so much for mentioning me here, Katie! I’m so glad you found me on Twitter; you’re such a valued member of PPRA 🙂 We’re glad to have you here!